In a way, these different systems are connected, probably with a mix of manual and automated work done by several teams. 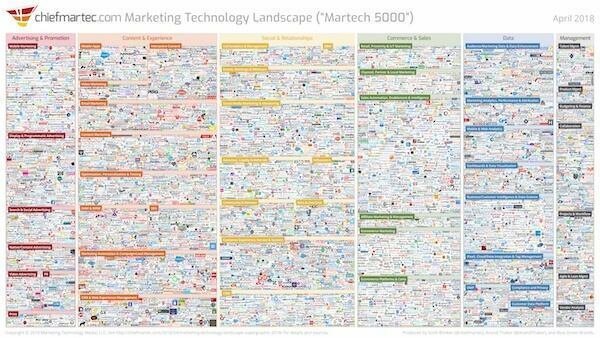 In the business, this is called a “marketing cloud” – but it’s not really a cloud, and it’s really hard to market things with it. Your workflow likely included a bunch of different teams – social, ads, pre-sales, email, web – all funnelling different data to your already-overworked IT team with requests for different audiences and segments. Because of this setup, there were likely a good number of people working through the weekend, refreshing your target audiences for Black Friday based on Singles Day data, and then again for Cyber Monday with data from Singles Day and Black Friday. Maybe this works for your organization – sales are strong, margins look good, and so on – but you could do all of this much more effectively and with A LOT less work. The answer is an enterprise-grade customer data platform (CDP). You’ll stop thinking in terms of channels, and start thinking in terms of customers. Or, of course, drop us an email, Instagram comment, tweet, or whatever other platform you’d like to use to get in touch!